When shopping for engagement rings, many women will focus on style over functionality. But if you regularly hit the gym, pound the pavement, and work hard (indoors and out), you should be shopping for rings that can withstand your daily demands — without sacrificing beauty and chic style. Diamonds may be incredibly strong, but they aren’t unbreakable. Like all jewelry, they can suffer wear and tear and may even chip or crack. As such, it’s important for anyone with an active lifestyle to select rings with sturdy, durable settings that will protect both solitaire and inset diamonds. Platinum, Palladium, and Prongs, Oh My! So what kind of setting should you get for your engagement ring set? Platinum settings offer the most protection. Platinum is four times more durable than gold, but also comes at twice the price. Platinum jewelry is often comprised of platinum mixed with alloy metals such as copper, rhodium, and iridium. High-grade platinum falls between 900 and 950 purity (90-95% platinum). A more cost-effective alternative to platinum is palladium. It’s not as strong as platinum, but it’s known for being resistant to tarnish caused by constant wear. 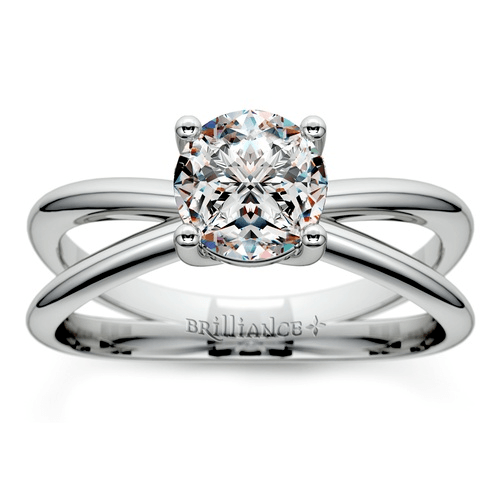 When it comes to engagement ring sets for women who work with their hands, palladium is a great option! Just be aware that palladium is not good for settings with many small details, like filigree, lots of small stones, or high settings. Luckily, none of these things are good for an active lifestyle anyway! As for choosing your diamond settings, there are multiple types of settings that offer protection. Prong settings are the most common type of setting, allowing the most light to reach the diamond. 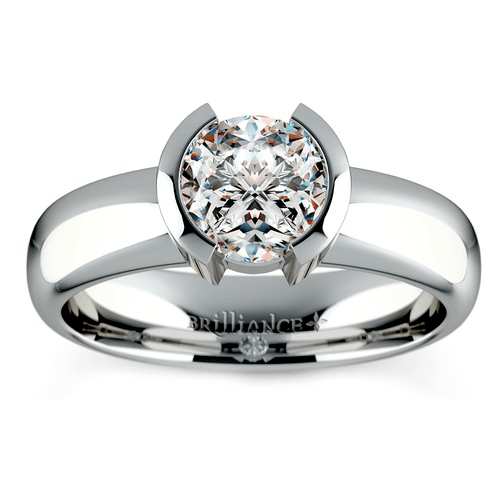 Four-prongs settings are traditional, but more prongs can mean more security for the diamond. The number of prongs also depends on your diamond shape. Any diamond with points, such as the square princess cut, needs to be protected, as sharp corners are more vulnerable to chips and breaks. Fancy diamond shapes may also have different needs. Heart-shaped diamond rings, for example, need a prong to protect the bottom point of the diamond. If you’re worried that your lifestyle may put a delicate diamond at risk, be sure to look at engagement ring sets with round diamonds or shapes without hard corners. So now you’ve got an idea of what you need, but what wedding ring or engagement ring sets for women are available? Here are some of our top picks. 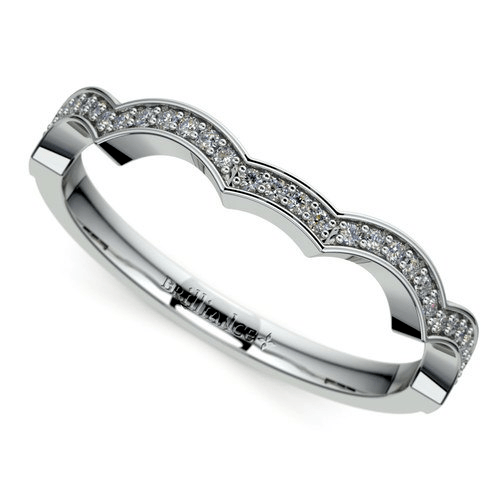 This is a sleek and contemporary design featuring two thin bands that cross at the center of the finger. The design channels the look of celestial rings, and while the tone of the style is clean and modern, the engagement ring is also incredibly sophisticated. The cross split shank setting serves as strong support for the protective, four-prong head mount that holds the solitaire diamond. 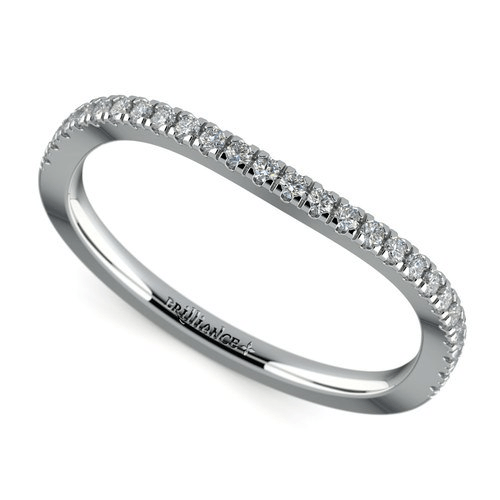 A matching diamond-encrusted platinum band nestles perfectly against the split shank solitaire setting, and the low-set pave band keeps the line of diamonds protected. For even more protection, consider the less-popular, more-modern bezel setting. Engagement ring sets that feature bezel or half-bezel diamond settings are the ideal choice for active lifestyles. 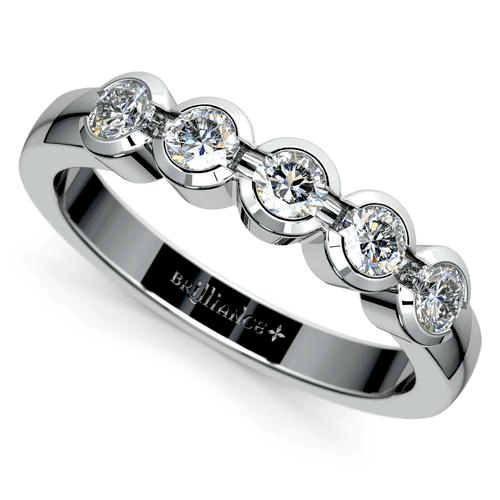 A bezel setting creates a halo of metal around a solitaire diamond to completely shield the girdle of the diamond. Bezel settings make it almost impossible for the diamond to fall out or become damaged. They have the added benefit of not snagging on clothing, and being more low-profile than a standard prong setting. Half-bezel settings don’t cover the entire girdle, but protect the majority of the diamond. Pair bezel-set engagement rings with a plain band or a matching band of bezel-set (or half-bezel set) diamonds. Engagement ring sets for women with active lifestyles aren’t limited to basic solitaires. For women who want maximum sparkle, the Infinity Twist engagement ring is packed with pave-set diamonds and features a diamond halo surrounding the center stone. While it’s never recommended to wear your ring during particularly strenuous activity, pave diamonds are set low in the band, so the stones aren’t in the way during workouts, sports, or other rough activities. 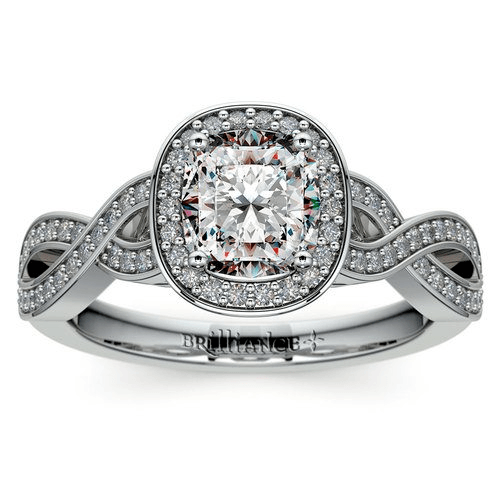 A diamond halo acts as an additional protection for the center diamond. The Infinity Twist engagement ring set for women captures the beauty of numerous pave diamonds in a swirling, feminine design that adds dimension and personality to the ring. Choose a vintage-style center stone like the cushion or Asscher for extra flair without adding those sharp corners. Match the intricate engagement ring with a curving pave diamond band that fits with the engagement ring’s swirled design. Antique style engagement ring sets are beautiful and unique, which is why so many women want to wear them. Many women assume that these special rings are too delicate to be worn safely under an active lifestyle, but that assumption is actually unmerited. As long as the ring is thoughtfully chosen and is treated properly, an antique engagement ring is a great choice for someone who leads an active life—and it’s a beautiful choice, too! First, look for antique style engagement rings with a very secure setting, such as a bezel or channel setting. If you want the more traditional prong setting, go for six instead of four to ensure added support around the diamond. These simple decisions make it possible to wear one of these heavily detailed rings even when living a fast-paced and active life. 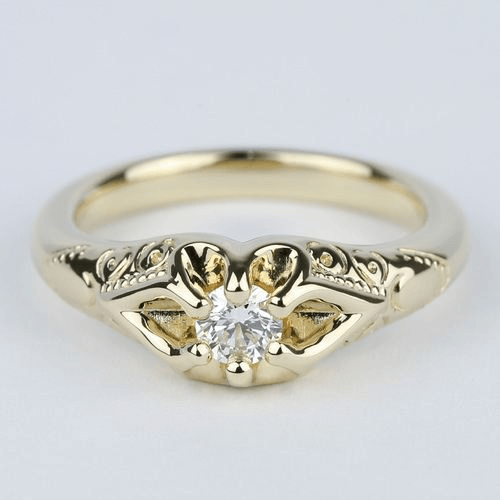 Editors Pick: Vintage Leaf Filigree Ring. 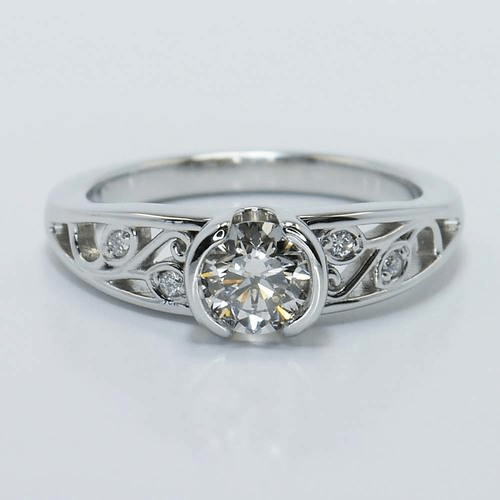 With a half-bezel setting and thick filigree details, this art nouveau-themed ring is a great option for brides who want a beautiful and strong antique ring. Another way to successfully sport antique-style engagement and wedding rings while carrying out an active life is to be strategic in how the bling-bling is worn. For instance, antique engagement rings—or any engagement ring, for that matter—should not be worn to the gym. This is because the band of the ring may be damaged if it is knocked against something. In some cases, the impact can even cause the diamond to become loose or fall out. 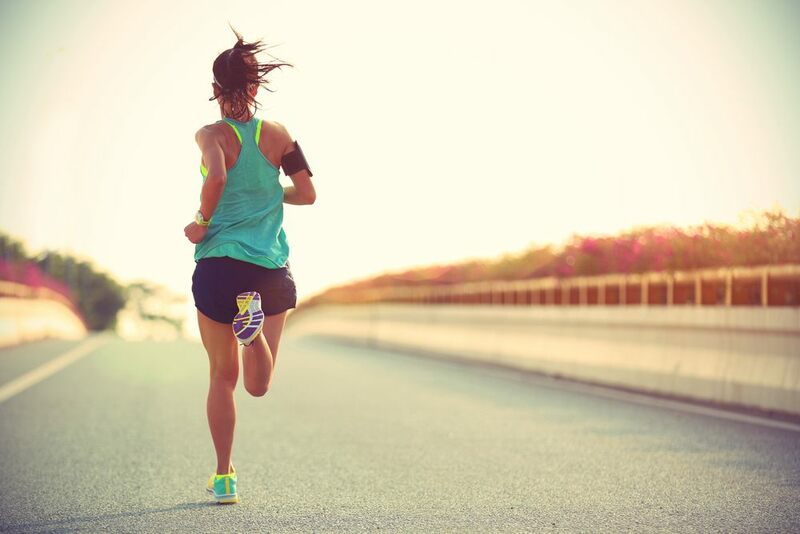 In others, sweat can build up over time and damage the band. Further enjoy an antique engagement ring no matter how busy your life may be by cleaning it often and correctly. Dirt, dust, sweat, and other debris can easily get trapped in an antique engagement ring, especially if it has intricate milgrain, filigree, or engraved detailing—the hallmarks of vintage-inspired designs. Editor’s Pick: Custom Antique Diamond Engagement Ring in Yellow Gold. A six-prong buttercup setting offers great protection with feminine flair alongside the warmth of yellow gold. If the dust and dirt stays there long enough, it could eventually start to scratch against the surface of your ring. Remove the trapped particles using a soft-bristled brush such as a toothbrush. Cleaning your ring on a regular basis will ensure that your ring stays in good condition while you continue to live an active lifestyle. Engagement ring sets for women who live life to the fullest require the durability to withstand the craziest situations. Choose matching rings made of the toughest metals — like platinum — and opt for head mounts that protect the diamond from chips and nicks. Pick modern settings like the bezel or half-bezel or go for extra romance and feminine flair with swirls of diamonds or flowing ribbons. No matter what your style—or lifestyle—there are matching engagement ring sets for every woman!